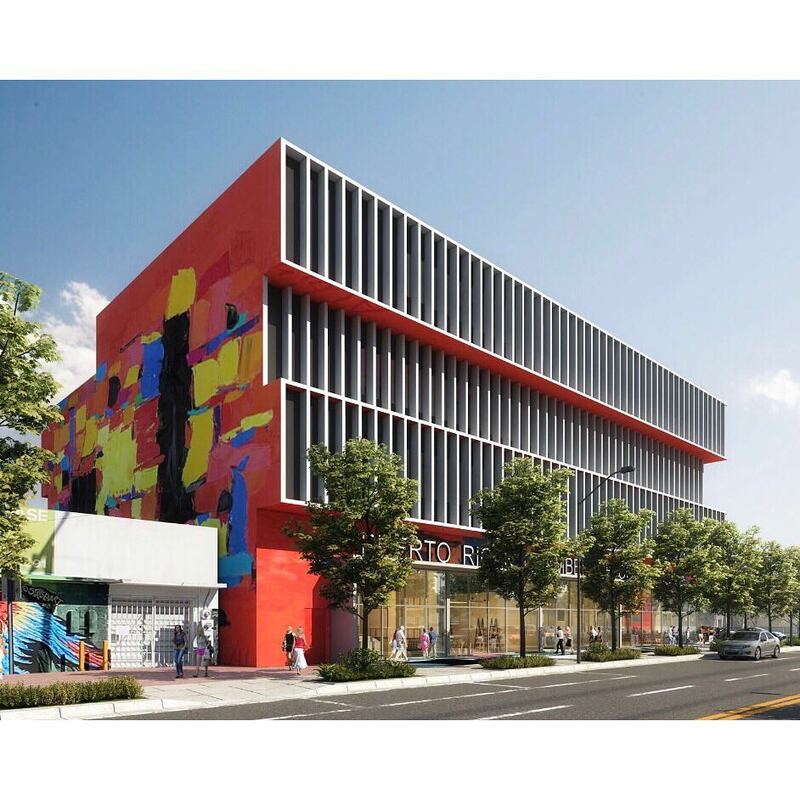 Berenblum Busch Architects has released new renderings of the Puerto Rican Chamber of Commerce planned for Wynwood. According to the architect, the building will feature continuous fins on all facades for shading. Shifting volumes will mark the upper levels. At the base of the building, the architect is planning a design that includes murals, along with a red paint scheme. Artist studios, a café, community spaces, offices and parking are all planned as part of the development, the architect’s website states. 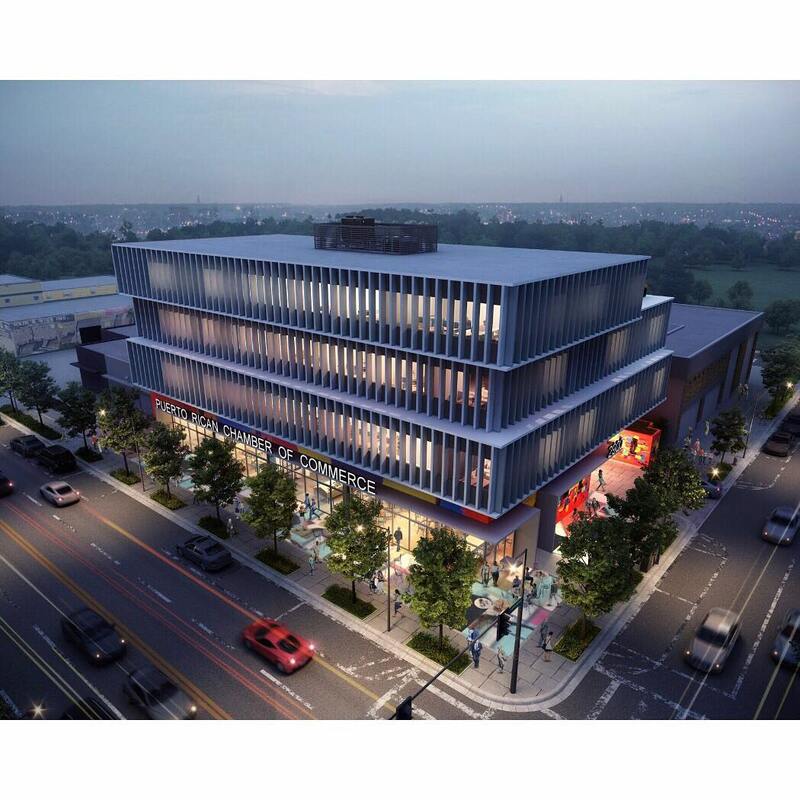 Moishe Mana is developing the 43,466 square foot building at 2900 NW 5th Ave, at a cost of $8.4 million. 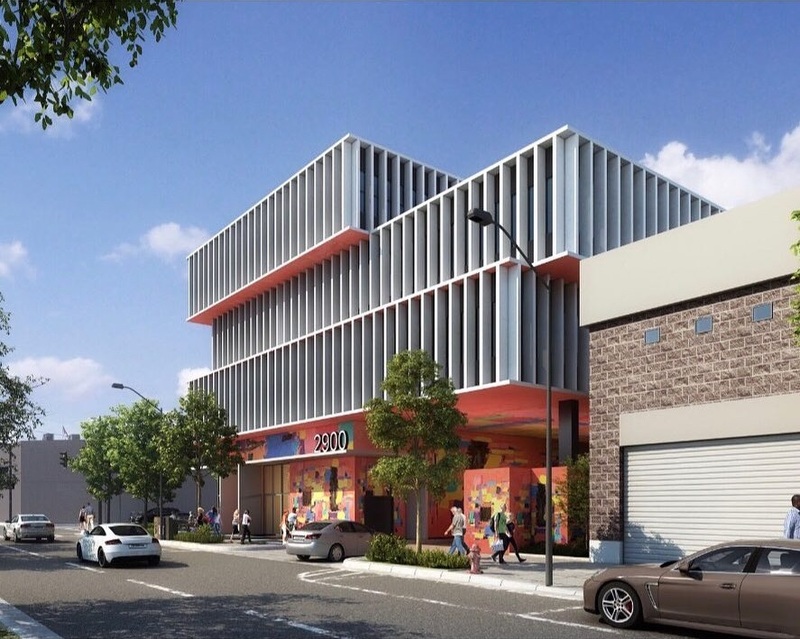 It will be used as a county district office and Puerto Rican Community Center, and is being built as part of a land swap deal between Mana and Miami Dade County. Mana…is that an abbreviation for Mañana?? Mana? So estimated completion date is never? lol the people of puerto rico defrauded once again. moishe is a do nothing. run him outta town with pitchforks pls..
Just tell the Zoe pound where he lives ? Sounds like he has to in order to complete a land swap with the city. The irony that the only project he builds is for the purpose of acquiring another lot that he will just sit on for who knows how many years. Anyone know what property he’d receive from the city in exchange? Yes he would get the lot south of Wynwood Lofts which is owned by the City. So NW 2 Ave real estate for 5th Ave real estate. They should’ve opened it in the old Balan’s building on Biscayne. ¡Dale! Mana should invest in Puerto Rico with Hillary Clinton. She did such a great job in Haiti! Ok what does that have to do with a building in Miami for Puerto Rico? Wynwood was created by the puertorican community, puertoricans needs a chamber of commerce due to the huge influx of business coming from Puerto Rico, they are investments like the HQ of Telemundo(chain originally from PR) First Bank HQ, Medalla Beer and Goya distribution center, hospitality real estate..
What? When did Mana become a builder? Great design, hope it gets built. Oh dear. Looks like a design from 40 years ago.